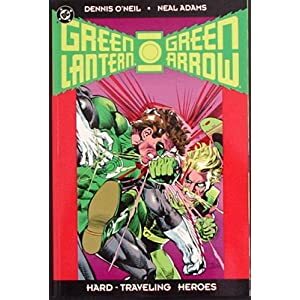 We will be discussing Green Lantern/Green Arrow: Hard-Traveling Heroes by Dennis O’Neil and Neal Adams. Please meet in the Community Room. This entry was posted in DC, Half Price Books and tagged Dennis O’Neil, Green Arrow, Green Lantern, Neal Adams by Clay. Bookmark the permalink.